One of the foremost musical artists performing today, William Bennett has raised the profile of the flute to that of an instrument capable of a wide range of tonal colours, dynamics, and expression, giving it the depth, dignity, and grandeur of the voice or a string instrument.He studied in London with Geoffrey Gilbert, and in France with Jean-Pierre Rampal and Marcel Moyse. The Master classes of Marcel Moyse in Switzerland in the late 70's provided extra stimulus and inspiration so that William Bennett's burgeoning career developed as an International soloist and recording artist. He has enjoyed long lasting musical partnerships with harpsicordist George Malcolm and pianist Clifford Benson, with whom he has extensively recorded, and his solo recordings with Yehudi Menuhin, the Grumiaux Trio, I Musici, the Academy of St. Martin in the Fields, and the English Chamber Orchestra have received international acclaim and enthusiastic reviews in record and CD journals. Early in his career he made the first English recording of the complete Handel Flute Sonatas, and of contemporary works including the Sonatine of Boulez, Berio's Sequenza, Messaien's Merle Noir, and Richard Rodney Bennett's "Winter Music" specially written for him. In addition to recording the standard flute repertoire of Bach, Handel, Vivaldi, Mozart, etc., he has made pioneer recordings of many neglected 19th century works, such as music by Ries, Romberg, and Taffanel. He has recorded with artists such as Jimi Hendrix and Wynton Marsalis. He has made over 100 CD's as a soloist. He premiered the Concerto by William Mathias, the Concerto by Diana Burrell and the Concerto for Flute and Orchestra by Venezuelan composer Raymund Pineda. All of these were specially written for him. He has been principal flute in many orchestras including the London Symphony, the Academy of St Martin in the Fields, and the English Chamber Orchestra. He has been Professor of Flute in the Freiburg Hochschule of Music in Germany, and he teaches at the Royal Academy of Music in London. He teaches Masterclasses all over the world. In addition to making a balalaika and a guitar whilst at school, he has made and improved flutes from an early age and has done a lot of work on improving and refining the tuning of the flute; several makers in the world now make flute on the "William Bennett Scale". This year his Concert and Mastercdlass engagements take him to Holland, U.S.A, Singapore, Canada, Lithuania, Belgium, Japan, China/Taiwan etc. and he is going to record several contemporary flute pieces. In 2002 he was awarded the National Flute Association's "Lifetime Achievement Award" and in 2003 he was appointed the British Flute Society's "Flautist Laureate". In 2004 he was awarded the title of " Flute of Gold" from the Italian "Falaut" Flute society. In 2009 he was awarded the “Lifetime Achievement Award” by the Chicago Flute Club. In January 1995 H.M. The Queen presented William Bennett with the Most Excellent Order of the British Empire (O.B.E) for his distinguished Services to Music. Charlotte recently graduated from the Royal Academy of Music, with a First Class Honours and the "Principal's Prize", where she learned flute with Karen Jones and Sam Coles and piccolo with Sophie Johnson and Helen Keen. Her formal musical training began at the Junior Department of the Royal Academy of Music, aged eleven, before joining The Purcell School for Young Musicians in 2008, where she studied under Clare Southworth. She is the recipient of numerous awards, including winning the 2015 Royal Overseas League Wind, Brass & Percussion finals, the Worshipful Company of Musicians’ Maisie Lewis Award, Making Music’s Philip & Dorothy Green Award for Young Concert Artists, awards from the Martin Musical Scholarship Fund and Countess of Munster Trust, and the Royal Academy’s Chris Taylor Flute Award. She has given recitals in venues across the country, such as at Bristol’s Colston Hall, St. John’s Smith Square, St. Martin-in-the-Fields, and St. James’ Piccadilly. As a freelance orchestral musician, Charlotte is currently on trial for Principal Flute of the BBC Scottish Symphony Orchestra and Birmingham Royal Ballet, for Sub-Principal Flute/Piccolo with the Scottish Chamber Orchestra, and for Second Flute with the Hallé. She has appeared as Guest Principal with the Philharmonia and the City of London Sinfonia, and has also worked with the City of Birmingham Symphony Orchestra and Welsh National Opera. She has been Principal Flute of the Britten-Pears Orchestra, and was selected for the London Sinfonietta Academy 2014 and the London Symphony Orchestra Wind Academy 2015. She performs regularly in and around London, whether it is with an orchestra, as a soloist or with her wind quintet, Notus Winds, winners of the Royal Academy’s prestigious Patrons’ Award. The quintet has reached the finals of the Royal Overseas League Chamber Music competition twice and, as a result of performances throughout the competition, won the Elias Fawcett Award for Outstanding Chamber Music. They also performed in a BBC Proms Portrait celebrating Sir Harrison Birtwistle’s 80th birthday, broadcast on BBC Radio 3, and were extremely fortunate to travel to Brazil in 2013, to the Festival de Inverno near São Paulo, participating in orchestral projects, chamber music concerts and masterclasses. Joshua Batty began his studies at Chetham’s School of Music with Gitte Marcusson, Richard Davis and Katherine Baker, during which time he became Principal Flute of the National Youth Orchestra of Great Britain. He was awarded a full scholarship from the Royal Academy of Music, London where he studied with Michael Cox completing his undergraduate degree in 2014. While a student of the school Joshua spent a year studying with Jacques Zoon at the Haute Ecole de Musique Genève. He was awarded both the Sussex Award in the Royal Overseas League Competition and the LSO Candide Prize following his participation in the LSO Woodwind Academy. Joshua was then accepted into both Aldeburgh World Orchestra and as Principal Flute with Gustav Mahler Jugendorchester. Professionally Joshua has guested as Principal Flute with the London Philharmonic Orchestra, Swedish Radio Symphony Orchestra, Royal Philharmonic Orchestra, BBC Symphony Orchestra, Royal Northern Sinfonia, John Wilson Orchestra, Ensemble 360, Miss Saigon (West End) and as second flute with the London Symphony Orchestra and London Sinfonietta. He has performed in prestigious festivals and international concert series such as Salzburg, Lucerne, Edinburgh International, BBC Proms, Singapore Arts, Royal Concertgebouw, Staatskapelle Dresden and La Scala Milan. He has also worked under many of the world’s leading conductors such as Sir Simon Rattle, Valery Gergiev, Daniel Harding, Sir John Eliot Gardiner, Sir Antonio Pappano, Daniele Gatti, Marin Alsop and Semyon Bychkov. In December 2014, Joshua was appointed the Principal Flute of the RTÉ  Concert Orchestra, Dublin with whom he has also appeared as a concerto soloist. Juliette Bausor has recently been appointed as Principal Flute in the London Philharmonic Orchestra having previously held the same position with Royal Northern Sinfonia for the past eleven years. Juliette began her studies with Anna Pope at the junior department of the Royal Academy of Music and the Purcell School of Music, before continuing her tuition with Philippa Davies, Paul Edmund Davies and Samuel Coles at the Guildhall School of Music and Drama. She furthered her flute studies at the Conservatoire Nationale Supérieur de Musique et de Danse in Paris, with Sophie Cherrier and Vincent Lucas. Following early recognition in competitions, including reaching the televised Concerto Final of the BBC Young Musician of the Year and winning the Gold Medal in both the Shell LSO Competition and the Royal Over-Seas League Competition, Juliette has performed as a concerto soloist with, amongst others, the London Symphony Orchestra, Ulster Orchestra, Academy of St Martins in the Fields, European Union Chamber Orchestra, Royal Northern Sinfonia and London Mozart Players, with conductors including Yannick Nézet-Séguin, Thomas Zehetmair, Mario Venzago and Sir Neville Marriner. Success on an international scale is reflected in tours around Europe and beyond, to Japan, Thailand, Vietnam, the United Arab Emirates, Namibia, Zimbabwe, Australia and New Zealand. In 2014 Juliette was selected by the European Concert Hall Organisation as an ECHO 'Rising Star'. She has since been invited to perform as a solo recitalist in some of Europe’s most prestigious concert venues, including Laeiszhalle Hamburg, Het Concertgebouw Amsterdam, Brussels BOZAR, Birmingham Town Hall, Budapest Palace of Arts, Vienna Musikverein, Stockholm Konserthus, L’Auditori Barcelona, Konzerthaus Dortmund, Philharmonie Luxembourg, Sage Gateshead and London Barbican Centre. Juliette also holds the position of Principal Flute with the London Mozart Players and is a member of the celebrated chamber group Ensemble 360, resident at the Crucible in Sheffield. In addition to the Ensemble’s busy concert schedule, Juliette is regularly invited to give recitals at major venues and festivals throughout the UK, including frequent Wigmore Hall and South Bank appearances, and performances at the Edinburgh, Cheltenham and Aldeburgh International Festivals and BBC Proms. Juliette has collaborated with many other leading chamber musicians, including Thomas Zehetmair (violin), Alasdair Beatson and Llyr Williams (piano), Kate Royal (soprano), Anneleen Lenaerts and Catrin Finch (harp), as well as the Coull, Elias, Badke, Carducci and Edinburgh String Quartets amongst others. Atarah Ben-Tovim MBE Hon DMus is a fluting legend and probably the only flute player in the world to play live to 2 million children and adults. An usual woman, an unusual career, starting with principal flute with Sadlers Wells, followed by 12 years as principal with RLPO (beating Sir James - good going, especially for a woman in 1962.) Great years. She played all the major flute concertos with the RLPO and broadcast most of the flute solo and chamber music repertoire. She left the orchestra after a calling while playing for children handicapped by Thalidomide, to create an ensemble to inspire kids to take up instruments - Atarah’s Band, in which she presented and played piccolo, flute and alto. A fusion ensemble of guitars, drums, trumpet and oboe –way ahead of its time - it made five best-selling LP’s, gave 2000 concerts worldwide and tv and radio series including a Radio 3 series. TV programmes about her work were broadcast on Omnibus, Magpie, Blue Peter etc. Next, she restored her farmhouse/flute museum near Bordeaux, which houses 1,300 pieces of fluting bric a brac, wrote The Right Instrument For Your Child, now in its 4th edition and 16 languages. She created and presented Children’s Classic Orchestral Concerts for ten years and loved her 6 great years as Chairman of the BFS. Now French Rep for ABRSM, she runs flute courses for adults and students, presents concerts, writes, helps her husband Douglas Boyd (whose 19th book comes out this year) and teaches young and old. Regrets – she refused the offer of “Professor of Inspiration” in Liverpool, but her 60 year fluting-passion has inspired many of today’s women teachers and performers. Born in England of Ukranian/Irish descent Lisa Beznosiuk is one of the world’s leading performers on early flutes. As solo flautist and orchestral principal she has performed and recorded a wide range of 18th and 19th century repertoire on a variety of historical flutes, both copies and originals, from her own collection. Lisa has received countless enthusiastic reviews for her live and recorded performances. Her solo recordings include the complete sonatas of Bach and Handel, concertos by Vivaldi, and quartets and concertos by Mozart. She also features on countless recordings of orchestral music from Bach to Brahms and beyond with many of Europe’s best-known period instrument ensembles. It was after hearing baroque flautist Stephen Preston play a recital at the Guildhall School of Music that Lisa was inspired to take up the traverso. She developed a passion for wooden flutes and baroque music, also finding herself busy playing harpsichord continuo - a skill which has become useful in her teaching career. Alongside her playing career she has been a passionate and dedicated teacher for 35 years, holding positions at London’s Royal Academy of Music, Guildhall School and the Royal College of Music amongst others. She has an international reputation as a flute teacher and ensemble coach; many of her former students are now successful and well-known flautists. At the age of eight, Helen won a scholarship to study piano and trumpet on Saturday mornings at the Guildhall School of Music, subsequently reading music at Cambridge. She then undertook postgraduate studies at the Royal College of Music, winning a French Government Scholarship to study with Nadia Boulanger in Paris. On leaving, she was invited to join the prizewinning all-female Brass Quintet, the Gallina, which went on to perform in many colourful venues, such as a floating platform in the middle of Stourhead Lake in Wiltshire, and the roof terrace of Covent Garden Market at its opening ceremony. On the lighter side, Helen’s fascination with Ragtime and Jazz prompted her to devise a solo show “Rags to Riches”, which has been greeted with great enthusiasm from London’s South Bank to the Edinburgh Jazz Festival, not to mention Italy, New York and the Caribbean! Principal Flute of the Metropolitan Opera since 2009, Denis Bouriakov has very recently started his new position as the Principal Flute at the Los Angeles Philharmonic. Denis has in recent years established himself as one of the most active and sought after soloists in the flute world. He has won prizes in many of the most important international competitions, including the Munich ARD, Jean-Pierre Rampal, the Prague Spring, the Carl Nielsen, and the Kobe competitions, to name a few. Denis looks outside the standard flute repertoire for works that allow the flute to shine. In addition to having a phenomenal virtuoso technique and musicianship, he is continually transcribing and performing violin concertos and sonatas, expanding the limits of flute technique and artistry. His first solo CD included the Sibelius Violin Concerto and Bach Chaconne in his own arrangements. Bouriakov has also recorded the Bach Concerto for Two Violins with flutist William Bennett and the English Chamber Orchestra. His 2012 CD, recorded in Japan, includes more traditional flute repertoire, featuring works by Copland, Debussy, Boehm, Jolivet, and Prokofiev. In collaboration with the Lithuanian Chamber Orchestra, Denis has recorded his latest album with Romantic-era violin and flute concertos, including the Mendelssohn Violin Concerto. The CD will be released in 2016. Denis has performed as a soloist with many orchestras worldwide, including the Norwegian Radio Orchestra, the Moscow Philharmonic, the Prague Chamber Orchestra, the Ensemble of Tokyo, the Hiroshima Philharmonic, the Odense Symphony, the Munich Chamber Orchestra, the Ensemble of Paris, and the Tampere Philharmonic Orchestra, among others. He has annual solo recital tours to Japan, and performs frequently in recitals and concertos all over the world. Denis Bouriakov was born in Crimea in 1981. At the age of ten, he was given a place at the Moscow Central Special Music School, where he studied with Professor Y.N. Dolzhikov. With the support of the ”New Names” International Charity Foundation and the Vladimir Spivakov Foundation, he toured in the next few years as a prodigy soloist to over 20 countries in Europe, Asia, South America, and the U.S., and performed for Pope John Paul II, Prince Michael of Kent, and the presidents of Russia, Romania, and Indonesia. When he turned 18, he went on to attend the Royal Academy of Music in London, studying with Professor William Bennett (OBE). His graduation in 2001 was accompanied by the Principal’s Award, the diploma for Outstanding Recital, and a Teaching Fellowship Award for the following year. In 2006, the Academy awarded him the title Associate of the Royal Academy of Music. In 2014 he was awarded the Fellow of the RAM title. While in London, Bouriakov freelanced as principal flute with the Philharmonia of London, the London Philharmonic Orchestra, Leeds Opera North, and the Frankfurt Radio Symphony. Denis’ first full-time orchestral position was as Principal Flute with the Tampere Philharmonic Orchestra in Finland (2005-2008), where he also taught at the Tampere Conservatory of Music. In 2008, he was appointed Principal Flute with the Barcelona Symphony under Eiji Oue. Later that year he won the Principal Flute position in the Metropolitan Opera in New York. His 2016 engagements include recitals, concertos, and coaching and master classes in Europe, Asia, and the U.S.A.
Best known for her eloquent and virtuosic performances on a huge range of flutes and recorders, Rachel Brown is also an acknowledged authority on historical performance practice, an inspirational teacher and an entertaining and illuminating speaker. Whilst training on modern flute at Manchester University and the Royal Northern College of Music with Trevor Wye she won numerous prizes leading to performances of flute concertos by Ibert and Nielsen and went on to win the coveted American National Flute Association’s Young Artist Competition in Chicago in 1984. She gave first performances of works by Robin Walker, John Ogden, Judith Weir and a new commission for the Park Lane Group by Barry Guy. However, her interest in early music had already been captured by her recorder teacher, Ross Winters, which naturally led to study of the baroque flute with Lisa Beznosiuk and Stephen Preston and an exploration of the many diverse classical and nineteenth-century flutes and their rich solo and chamber repertoire. Rachel’s recital discs of French Baroque Music and Quantz Sonatas established her reputation and her recording of virtuosic works by Schubert and Boehm on simple-system, ring-keyed and Boehm alto flutes has been described as ‘a revelation’. As a soloist she has recorded extensively and toured in Europe, Japan and North America with a comprehensive concerto repertoire from J.S. Bach, Vivaldi and Telemann to Mozart. She has given many performances of the newly discovered Handel Flute Concerto and her championing of the works of the Berlin School has reawakened interest in the largely unknown masterpieces by Quantz. Her dazzling recordings of the Quantz and C.P.E. Bach Concertos have won international acclaim. Most recently, her recording of the CPE Bach D minor concerto was voted best by Polish radio. Rachel appears on many Telemann discs with Collegium Musicum 90 and her recording of the complete Handel flute and recorder sonatas op.1 with the Academy of Ancient Music has been described as “heart-rending” (BBC Music Magazine) and “enchanting” (The Independent). She has recorded Bach’s B minor Suite twice, with the Brandenburg Consort and the Academy of Ancient Music. Rachel is a founder member and soloist with the London Handel Players with whom she has recorded Geminiani sonatas op.1 and three discs of Handel’s chamber music, described as ‘perfection itself’ (Pan). Equally at home in the wind section, Rachel has had a long and distinguished career as an orchestral player; first, on silver flute, with the orchestra of Kent Opera and for many years as principal flute with the Academy of Ancient Music, the Hanover Band, the Kings Consort, Collegium Musicum 90, Ex Cathedra, the Brandenburg Consort and Arcangelo. An occasional guest principal with the Orchestra of the Age of Enlightenment, the English Concert, the erstwhile London Classical Players and orchestras abroad such as the Nederlands Bach Vereniging and the Orchestra of the Eighteenth Century, Rachel has also appeared as soloist with Arte dei Suonatori in Poland, the Haydn Akademie in Austria, Concerto Copenhagen in Denmark and Germany and the Croatian Baroque Ensemble in Zagreb. A frequent guest of the British Flute Society, Rachel has also performed for the French, Dutch, German, Slovenian, Spanish and American flute societies. In 2014 she was invited to present the Telemann Fantasias to the jury and competitors of the 6th International Krakow Flute Competition. Recent concert highlights include performing at the CPE Bach Festival in Krakow, the Abel G major concerto at the Haydn Festival in Eisenstadt, the Bach B minor Suite with the Academy of Ancient Music on tour in the States, the London Handel Players debut at Carnegie Hall in New York, the Mozart Flute and Harp concerto with Masumi Nagasawa and the Academy of Ancient Music at the Barbican in London and the Jiranek concerto in Curitiba, Brazil. Recent concert highlights include performing at the CPE Bach Festival in Krakow, the Abel G major concerto at the Haydn Festival in Eisenstadt, the Bach B minor Suite with the Academy of Ancient Music on tour in the States, the London Handel Players debut at Carnegie Hall in New York, the Mozart Flute and Harp concerto with Masumi Nagasawa and the Academy of Ancient Music at the Barbican in London and the Jiranek concerto in Curitiba, Brazil. A dedicated teacher, Rachel has given masterclasses in the USA, Canada (Boxwood), Argentina, Brazil, Sweden, Finland, Poland, Spain, France, Belgium, Germany (International Handel Academy), Wales, Ireland, Holland, Switzerland, Slovenia, New Zealand (Boxwood) and at the annual Aestas Musica summer school in Croatia. She taught for many years at the Royal Northern College of Music, and later at the Royal Scottish Academy of Music and Drama, the Birmingham Conservatoire and as lecturer in classical studies at the Guildhall School. She is currently professor of baroque flute at the Royal College of Music in London. Rachel is author of the Cambridge University Press handbook, The Early Flute, a practical guide, has composed cadenzas for the new Bärenreiter edition of the Mozart Flute Concertos and suggested ornamentation for the new Henle edition of Telemann Fantasias. Following great interest in her research, Rachel has published two volumes of her favourite Quantz sonatas, supported by subscribers worldwide, and her own completion of Bach’s Sonata in A major, BWV 1032. Her own recording label and publishing house, Uppernote, was launched with a tour de force recording of the complete Telemann Fantasias, followed by a second disc of Quantz sonatas entitled Private Passion, and, most recently, A Tribute to Bach (Bach Flute Sonatas & Arias) and Mozart Flute Quartets. Katherine Bryan made her concerto debut at the age of 15 with Daniel Harding and the Academy of St. Martin-in-the-Fields in London and later made her US concerto debut at the Lincoln Centre with the Juilliard Orchestra. She has since performed as soloist with the BBC Philharmonic, Helsinki Philharmonic, Royal Scottish National, Halle, Nurnberger Symphoniker, New York Philharmonic and English Baroque orchestras. Katherine's debut solo recording of the Nielsen and Liebermann Concertos, Poulenc Sonata (orch Berkeley) and Hue Fantasie with the Royal Scottish National Orchestra conducted by Paul Daniel, was released to great acclaim in September 2010. Further to this success, Katherine released a further disc of concertos in May 2013, including works by Ibert, Martin and Rouse, which was celebrated by a launch at National Geographic London Store as part of the Cultural Calendar. Katherine's recording of the Rouse Concerto is the first ever British recording. Her third album, Silver Bow, described by The Scotsman as "a breathtaking package" is a collection of transcriptions of music for violin and orchestra and was released in September 2015. A winner of the prestigious Audi Music Competition, Katherine initially studied at Chetham's School of Music, Manchester and won a full scholarship to study flute at the Juilliard School, New York with Jeanne Baxtresser and Carol Wincenc where she won the four-yearly flute concerto competition. She was also a prize winner at the Royal Overseas League Music Competition in London, the Young Concert Artists International Competition in New York and was a finalist in the BBC Young Musician of the Year for three consecutive competitions. She was awarded the Julius Isserlis Scholarship by the Royal Philharmonic Society. At the age of just 21, she was appointed Principal Flute with the Royal Scottish National Orchestra - a position she holds today in addition to appearing as concerto soloist with leading orchestras worldwide. Katherine is currently a lecturer in flute at the Royal Conservatoire of Scotland and Chetham's School of Music in Manchester. She a regular Guest Principal flute with the Philharmonia Orchestra, and has also played Guest Principal with the London Philharmonic, BBC Symphony, BBC Scotttish, Royal Northern Sinfonia, Royal Philharmonic, Hallé, Seattle Symphony, Swedish Radio and London Symphony orchestras. Katherine has appeared at major international festivals as both concerto soloist and recitalist, including the Cheltenham International Festival. She has given live broadcasts on Classic FM, BBC Radio 3 and on BBC television. Forthcoming projects include the commission of a new flute concerto by Scottish composer Martin Suckling. Samuel Coles was educated at the Guildhall School of Music and Drama and from the age of 9 was a pupil of Sir james Galway. He also studied at the Paris Conservatoire, winning the Premier Prix in 1987. His many other awards include first prize in both the Scheveningen International Flute Competition in Holland and the National Flute Association Young Artists Competition in San Diego and 2nd Prize in the Jean Pierre Rampal Competition 1987. Between 1989 and 2010 he was principal flute with the Orchestre National Bordeaux Aquitaine, and founded the Baroque Ensemble of Bordeaux, and was made professor of the Bordeaux Conservatoire de Musique. He has played guest principal with the London Symphony Orchestra, the London Philharmonic Orchestra, the Academy of St Martin in the Fields, the BBC Symphony Orchestra, the Opera de Paris et de Lyon, the Orchestre de Radio France, the Bavarian Radio Symphony Orchestra and the Chicago Symphony Orchestra. He also is a regular guest with the English Chamber Orchestra. He has performed as a soloist with the Philharmonia, the Orchestre de Bordeaux, Orchestre de Paris, Monte Carlo symphony, the Concertgebouw Chamber Orchestra, the Residentiel Orchestra of the Hague and the English Chamber Orchestra, with whom he recorded all the Mozart Concertos under the direction of Sir Yehudi Menuhin. In 2011 he was appointed principal flute in the Philharmonia Orchestra and professor at the Royal Academy of Music in London. Future engagements include a recording of the Nielson Concerto with the Philharmonia and P Jaarvi, with a RFH performance; a tour of the Mozart Flute and Harp concerto with the Philharmonia; a commission from M.A. Dalbavie to write a new flute concerto for a RFH performance. Michael Cox is one of Britain’s foremost flute-players. Although born in England he spent his childhood in Africa. He studied music at the Zimbabwe College of Music and then the Royal College of Music in London. Early competitive successes led directly to a solo career that has included concerts and recordings in all continents and performances with major orchestras and conductors. As a chamber musician he has performed with many well known British quartets, quintets and ensembles (and worked alongside musicians of the ilk of James Galway and Murray Perahia) as well as being a member, at various times, of the Haffner and Albion wind ensembles, London Symphony Chamber Players and London Sinfonietta. An interest in a wider repertoire led to a concurrent orchestral career, first as co-principal with the BBC Symphony Orchestra, and then as principal flute of the London Symphony Orchestra, London Mozart Players and Britten Sinfonia. He now holds what he considers an ideal portfolio of tenures combining the principal flute chairs of a symphony orchestra, chamber orchestra and a contemporary music ensemble - namely the BBC Symphony Orchestra, the Academy of St Martin’s in the Fields and the London Sinfonietta. Through this work he has worked with a great raft of the world’s greatest conductors and soloists. Also, his particular interest in contemporary music has meant that he has also worked, often closely, with composers such as Messiaen, Takemitsu, Dutilleux, Berio, Boulez, Tippett, Birtwistle, Stockhausen, Henze, Adams, Carter, Penderecki, Lutoslawski. A passionate and highly dedicated teacher Michael Cox is professor of flute at the Royal Academy of Music in London and is sought after as a visiting consultant and by students worldwide. In addition he has also given his unique curricular flute course internationally, most recently at the Oxford Flute Course, UK, and in Adelaide, Australia. Michael Cox plays on Altus flutes and has recently become an Altus Artist. Philippa Davies has established an international reputation as one of the finest flautists currently performing. A ‘first-rate virtuoso,’ with ‘exceptional eloquence’ she has been noted for an ‘almost electrical response to technique’. As a recitalist, she plays and broadcasts throughout the world at international festivals, whilst performing concertos and giving master classes from China to the USA. She has performed concertos with the New Stockholm Chamber Orchestra, the BBC Symphony, the BBC Philharmonic and the BBC National Orchestra of Wales, the English Chamber Orchestra, City of London Sinfonia and the London Mozart Players. Philippa’s current schedule includes many performances with the Nash Ensemble and London Winds, the Davies Cole Duo (with Maggie Cole) ; earlier in her career she was the flute player with Sir Peter Maxwell Davies’s ensemble Fires of London, and a member of the ensembles Capricorn and Albion. Originally Principal Flute of the National Youth Orchestra of GB, Philippa went on to train at the Royal College of Music with Douglas Whittaker and later William Bennett and won many awards including the Tagore Gold Medal Prize, the National Federation of Music Societies award the Mozart Memorial Prize and was a Park Lane Group Young Artist. Since her much-admired performance of Mozart’s D major concerto with the BBC Symphony Orchestra at the BBC Proms in 1988 she has become a popular BBC Proms artist:as the solo flute in Havoc by Giles Swayne, 2000, and subsequently with London Winds (Strauss wind symphonies)and the Nash Ensemble performing the Copland Duo, Pierrot lunaire , Façade, and George Crumb's trio Vox Balaenae. Philippa’s numerous recordings include Mozart’s entire original concertos and quartets and Bach's Flute Sonatas with Maggie Cole. Her Romance of the Flute and Harp with Thelma Owen and Poulenc’s Flute Sonata (Hyperion) are extremely popular. She recorded Giles Swayne’s Winter Solstice Carol for the King’s College Choir Her recording of all William Alwyn’s flute music including the flute concerto was released in 2005 (Dutton ) and during the next season she plans to record Paul Reade’s Flute Concerto . Future solo performances include the Wigmore Hall, as well as France, Switzerland, Spain. and in Netherlands with her duo partner Jan Willem Nelleke . She regularly plays guest principal flute with many of the main London orchestras: the Royal Philharmonic, the Philharmonia, the English Chamber Orchestra.. Philippa is a Professor at the Guildhall School of Music and each summer runs her own highly regarded International Flute Course at Benslow, North London as well as a course in Cubertou , France. Philippa is also a licensed Andover Educator giving lessons and master classes in Body Mapping- the awareness of movement in music. Thomas Hancox works regularly as guest principal flute with the country’s leading orchestras, including the Royal Philharmonic Orchestra, London Philharmonic Orchestra, Philharmonia Orchestra, Academy of St Martin in the Fields, English National Opera, and the English Chamber Orchestra, amongst others. Solo and chamber work has led to collaborations with artists and ensembles including the Allegri and Sacconi string quartets, Trevor Pinnock, Ilya Gringolts, Vladimir Mendelssohn, and Matthew Barley, with recitals in the Cheltenham, Spitalfields, St Davids, Canterbury, and Oxford Chamber Music festivals. Dedicated to bringing music to all, Thomas is currently Acting Chief Executive of CAVATINA Chamber Music Trust, a charity that introduces and makes available chamber music to young people. With his harpist duo partner, Rachel Wick, he is also an artist for Live Music Now, a charity that brings the joy and power of live music to those who otherwise would not be able to access it. He currently teaches privately in London, having previously taught at King’s College London and the Dragon School, Oxford. Additionally he is a tutor on the ever-popular Flute Kitchen summer course in Harrogate. Thomas first read music at St Peter’s College, Oxford, from where he graduated with a first, before pursuing further studies in Paris with Patrick Gallois, and subsequently at the Royal Academy of Music with Paul Edmund-Davies and Samuel Coles, finishing with a distinction and the honorary DipRAM. He was generously supported by the Countess of Munster Musical Trust, the Leverhulme Trust, the Arts and Humanities Research Council, the Musicians Benevolent Fund, and the Craxton Memorial Trust. Karen Jones studied at The Guildhall School of Music and Drama with Peter Lloyd and subsequently won a Fulbright Scholarship and Harkness Fellowship to study in Vienna with Wolfgang Schulz and in New York with Thomas Nyfenger. Her early successes include winning the woodwind section of the BBC TV " Young Musician of the Year" competition and the Gold Medal in the Shell/London Symphony Orchestra Scholarship. Whilst completing her studies in the USA, she was appointed principal flute of the Bournemouth Symphony Orchestra, a position she held for 5 years before returning to London. Karen is now in great demand as guest principal flute with all the major London orchestras and ensembles including the London Philharmonic Orchestra, Philhamonia and London Sinfonietta. She combines this with regular solo engagements, chamber music projects and commercial studio work including the film scores to Harry Potter, Sweeney Todd and Bridget Jones. Previously having held teaching posts at the Royal Northern College of Music and Trinity College of Music, London, she now has a busy schedule as one of the UK's leading flute teachers giving masterclasses across the country. In 2004 Karen became a professor at The Royal Academy of Music. Karen plays on an Altus flute. Scottish-born Lorna McGhee was appointed principal flute of the Pittsburgh Symphony Orchestra in 2012. Known for her “exceptionally rich and vibrant tone” (Washington Post) Lorna has performed as guest principal with Chicago Symphony, Minnesota Orchestra, London Symphony, London Philharmonic, Academy of St-Martin-in-the-Fields, Chamber Orchestra of Europe and has been fortunate to work with conductors such as Haitink, Gergiev, Rattle, Solti, Harnoncourt, Muti and Honeck. Before immigrating to North America in 1998, Lorna was co-principal flute of the BBC Symphony Orchestra, England. As a soloist, she has given concerto performances with the London Symphony Orchestra, Scottish Chamber Orchestra, BBC Scottish Symphony Orchestra in the UK and Manitoba Chamber Orchestra, Toronto Philharmonia, and Victoria Symphony in Canada and the Nashville Chamber Orchestra, Oregon Bach Festival Orchestra, San Luis Obispo Symphony and Pittsburgh Symphony Orchestra in the USA. Career highlights include a performance of Penderecki's flute concerto with the Oregon Bach Festival Orchestra under the baton of the composer in 2004 and more recently, a performance of the Nielsen Flute Concerto with the Pittsburgh Symphony in 2014 with Maestro Tortelier. As a chamber musician and recitalist, she has performed in Europe, North America, Australia, Singapore and Japan in such venues as London's Wigmore Hall, Edinburgh International Festival, the Louvre, Paris, the Schubertsaal of Vienna's Konzerthaus, Ottawa International Chamber Music Festival and the Australian Festival of Chamber Music. Her performances have been broadcast on CBC Radio in Canada, BBC Radio, NPR (USA), Netherlands Radio and ABC (Australia). She has made chamber music recordings for EMI, Decca ASV, Naxos and Meridian. Her recording for Naxos of Bax’ Chamber Music with the group ‘mobius’ was selected as Editor’s Choice in Gramophone Magazine. Along with Duo partner Heidi Krutzen, Lorna has released two CDs on Skylark Music: "Taheke, 20th century Masterpieces for flute and harp" and "Canada, New Works for flute and harp." As a member of Trio Verlaine (with her husband, violist David Harding and harpist, Heidi Krutzen) Lorna has recorded two CDs: “Fin de Siècle,” the music by Debussy and Ravel, and “Six Departures”, featuring works by Bax and Jolivet as well as new commissions by Schafer and Cotton. Both the Trio and Duo are committed to broadening the repertoire and have contributed eight new commissions to date. Lorna’s first flute and piano recital disc, “ The Hour of Dreaming” with pianist, Piers Lane was released on the Beep label in 2014. Stewart McIlwham began his studies at the Douglas Academy Music School in Glasgow with John Wiggins. He continued his studies at the Guildhall School of Music and Drama under Peter Lloyd, before being appointed principal piccolo of the BBC Philharmonic Orchestra in 1985, a position he held until 1990. As a student Stewart McIlwham was a founder member of the National Youth Orchestra of Scotland, as well as playing with the National Youth Orchestra of Great Britain and the European Community Youth Orchestra. He was also a finalist in the Shell LSO Competition on two occasions in 1981 and 1985. Stewart McIlwham was principal piccolo of the Royal Philharmonic Orchestra from 1990 to 1997. He gave the world premiere of the Maxwell Davies Piccolo Concerto with the RPO conducted by the Composer in Nottingham, followed by the London premiere at the Barbican in April 1997. Stewart McIlwham is currently principal piccolo of the London Philharmonic Orchestra and professor of piccolo at the Royal College of Music in London. Stewart joined the Board of the London Philharmonic Orchestra in 2003, and was elected President in 2012. Patricia Morris studied on an open Scholarship with Geoffrey Gilbert at the Royal Manchester College of Music. Her career began in the Royal Liverpool Philharmonic, where shespecialised in playing the piccolo. She has had a varied freelance career, playing with most of the major symphony orchestras in England, whilst occupying the chair of principal piccolo with the BBC Symphony Orchestra. Patricia has a strong commitment to and enjoyment of teaching; she is professor at the Royal Academy of Music and gives master-classes at various conservatoires and courses in England and Europe. Patricia is the author of The Piccolo Study Book and co-author with Trevor Wye of Orchestral Study Books for Flute, Alto flute and Piccolo. In recent years, as a result of a longterm interest in how tensions in the body affect playing, Patricia trained and qualified as a Feldenkrais practitioner. She now uses this method to help musicians overcome habitual patterns which inhibit their performance. Sarah is a member of the Academy of St.Martin in- the- Fields and the New London Orchestra and formerly of both Welsh National Opera and the London Philharmonic, as a freelance player she works with most of the orchestras in Great Britain. A keen chamber musician Sarah is a member of Cardiff Winds and Dragonfly. As a freelance flautist Sarah is able to work in a variety of musical styles ranging from opera, symphony and chamber orchestras, chamber music and recitals, to film sessions and some period instrument work. Teaching plays an important part in Sarah's musical life, she has been a professor of flute at the Guildhall School of Music and Drama since 1989. In collaboration with Ian Clarke she redesigned the technical requirements for the woodwind at the Guildhall School, this has led to invitations to present workshops at the "Reflective Conservatoire" conference at the Barbican, London and also "Professional Development" Seminars in Finland and Norway. In addition since September 2010 Sarah has been a professor of flute at the Royal Welsh College of Music and Drama. Together with Zoe Smith, piano, she is director of the Llangenny Flute Summer School which has run annually since 2008. Sarah is a regular coach for the National Youth Orchestra of Great Britain and for the I-Culture orchestra in Poland. 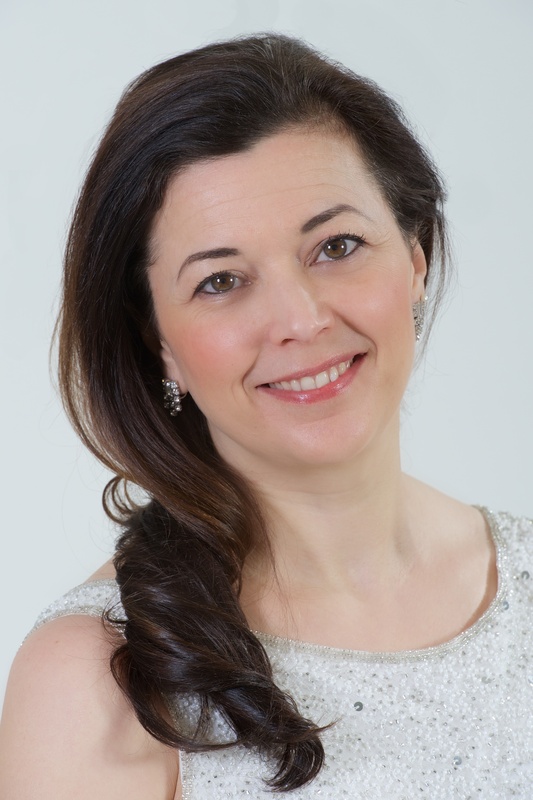 She is sought after as an adjudicator and examiner, regularly gives masterclasses and recitals in Britain and recently in Norway, Greece, Finland, Ireland and France. She is a icensed Andover Educator and teacher of Body Mapping. Sarah Newbold studied the flute with Atarah Ben Tovim and Alan Lockwood at Huddersfield Polytechnic and with Peter Lloyd at the Guildhall School of Music and Drama, she completed her studies at the National Centre for Orchestral Studies. Anthony Pike was born in Seoul, Korea, and studied the clarinet with Julian Farrell in London, Robert Marcellus in Chicago and Dame Thea King at the Royal College of Music. Anthony is the principal clarinet with the English Chamber Orchestra (E.C.O. ), and has performed concertos with them worldwide. He has also appeared as guest principal with most of the British orchestras including the Royal Philharmonic Orchestra, London Philharmonic Orchestra, London Symphony Orchestra and City of Birmingham Symphony Orchestra. Chamber music collaborators have included Christian Zacharias, Ralph Gothóni, Joachim Trio, Medici and Tippet Quartets and E.C.O. Ensemble. He is a founder member of the London Soloists Ensemble (John Lenehan, Lorraine McAslan, Sarah-Jane Bradley and Karine Georgian),the resident ensemble at St. Johns Smith Square. He is regularly invited, as chamber musician and soloist, to appear at international festivals which have included Edinburgh, Johannesburg, Nordland, Hong Kong and Bermuda. Despite reading Politics, Philosophy and Economics at Magdalen College, Oxford, Anthony gradually became more absorbed with playing the clarinet. The National Federation of Music Societies' "Young Artist" award provided a springboard for his recital career, and he made his Wigmore Hall debut in 1994. Concerto appearances at the Royal Festival Hall, Barbican, Cadogan Hall and Queen Elizabeth Hall followed. Anthony's discography includes Mozart Concerto for Basset Clarinet with Ralph Gothóni and the E.C.O., the complete works for clarinet by Max Reger (Martin Jones, piano), Copland Clarinet Sextet and a recent recording of Ralph Vaughan Williams's Quintet on the London Soloists Ensemble debut CD. Anthony is also a sought after and experienced teacher. He was a Professor of Clarinet at the Guildhall School of Music and Drama between 1997 and 2003, and is regularly invited to sit on judging panels for Music Colleges and awards committees. Anthony plays on Selmer Recital Clarinets. Anthony Pike's is a familiar face in the studios of London. His earliest projects were with John Barry and the E.C.O., notably The Scarlet Letter (1995) and The Beyondness of Things (1999). He has played on soundtracks for a wide range of films, some of the most memorable being the more recent James Bond Films, Harry Potter, Shrek and the Romeo and Juliet. His are the haunting clarinet solos on the Oscar-winning score for Atonement and any fans of the television series 'Lewis' will have heard Anthony representing the eponymous detective in the familiar theme tune. He is also to be heard on albums by artists as diverse as Joni Mitchel, Robbie Williams, Björk and Bryan Ferry, and he recently completed tours with the late legend, Lou Reed. One of only a few flutists to have launched a successful career as a solo performer and teacher, Clare is in great demand to present concerts, master-classes and workshops around the world. Her flute has taken her to Europe, America, and Asia and she has performed as guest soloist for the American, German and British Flute Societies. She is renowned for her innovative programming, embracing a wide repertoire, combining both traditional and non-traditional genres and for her ability to combine performance with tuition at the highest level. Chamber music has always played a major role in Clare's career and she has recently formed Caliente!, an exciting and unique trio with a line up of flute, tenor saxophone and harp featuring Andy and Lauren Scott. Clare is recognized as one of the country's leading flute teachers and was Professor of Flute at the R.N.C.M. for 17 years, a position that was offered to her only three years after Graduating. She has been Professor of Flute at the Royal Academy of Music since 2001. Clare has always had a great deal of contact with young musicians, teaching for many years at RNCM Junior School, Chetham's School of Music and The Purcell School. Her books "Flute Aerobics", "Light Aerobics", "Sequentials" and "The Expression of Colour", have become best sellers. Last year Clare launched Flutereboot an on-line teaching programme for players returning to the flute or for established players seeking new ideas and this year she is launching Kick-Start, a unique on-line beginner course for flute. Clare is a Miyazawa International Artist and flute editor of Astute Music. In 2009, at the age of 21, Adam Walker was appointed principal flute of the London Symphony Orchestra and received the Outstanding Young Artist Award at MIDEM Classique in Cannes. In 2010 he won a Borletti-Buitoni Trust Fellowship Award and was shortlisted for the Royal Philharmonic Society Outstanding Young Artist Award. In 2011 he gave the world premiere of Brett Dean’s The Siduri Dances with the BBC National Orchestra of Wales and in 2013 Marin Alsop invited him to give the world premiere of Kevin Puts’ Flute Concerto at the Cabrillo Festival. The London Symphony Orchestra and BBT jointly commissioned Huw Watkins to write a flute concerto which Adam premiered in February 2014 under Daniel Harding. As a soloist Adam performs with the major UK orchestras including BBC Scottish Symphony Orchestra at the Southbank Centre’s ‘The Rest is Noise’ Festival and with the Royal Philharmonic Orchestra, Academy of St. Martin in the Fields, Hallé, Bournemouth Symphony, Northern Sinfonia, City of Birmingham Symphony and is a regular visitor to the BBC National Orchestra of Wales. Further afield he has performed with the Baltimore Symphony Orchestra, Seattle Symphony, Seoul Philharmonic, Vienna Chamber Orchestra, Solistes Européens, Luxembourg and the RTE National Symphony Orchestra. Recital highlights include LSO St. Luke’s, City of London Festival, Newbury Spring Festival, Varese (Italy), Mecklenburg-Vorpommern Festspiele and the Utrecht Chamber Music Festival 'Janine Jansen and Friends'. He appears regularly at Wigmore Hall where he has recently worked with Brett Dean, pianists Angela Hewitt and James Baillieu, guitarist Morgan Szymanski and singers Bernarda Fink and Karina Gauvin. Highlights of the 2015/16 season include his New Zealand debut with the Auckland Philharmonia and Eckehard Stier (Corigliano Pied Piper Fantasy) as well as two performances of the Nielsen Flute Concerto with the Malaysian Philharmonic Orchestra and Carlos Kalmar. Closer to home he performs the Ibert Concerto and Chaminade Concertino with the Malmö Symphony Orchestra under Marc Soustrot and undertakes a tour with the BBC National Orchestra of Wales and Thomas Søndergård performing Huw Watkins and Poulenc. Recital highlights include two appearances at the Wigmore Hall; an evening recital in collaboration with Ailish Tynan, James Bailieu and Alasdair Tait and a late night recital with harpsichordist Mahan Esfahani. Adam’s first CD was released in 2013 on the ROH Opus Arte Label; “Vocalise” takes inspiration from song and includes works by Poulenc, Messiaen, Bartok, Barber and Schubert. The Gramophone review recognized Adam as “a superb player [with] much delicacy of nuance in his phrasing [and] stunning virtuosity”. His recording of the Kevin Puts Flute Concerto with Marin Alsop and the Peabody Institute is scheduled for release on Naxos in 2016. Born in 1987, Adam Walker studied at Chetham’s School of Music with Gitte Sorensen and the Royal Academy of Music with Michael Cox graduating with distinction in 2009 and winning the HRH Princess Alice Prize for exemplary studentship. In 2004 he was a Concerto Finalist in the BBC Young Musicians Competition and in 2007 was selected for representation by Young Classical Artists Trust (YCAT). In April 2015, Claire joined the orchestra of the English National Opera as principal flute. Highlights so far have ranged from performing Wagner’s colossal work Die Meistersinger von Nürnberg, to performing a role on stage as part of Simon McBurney’s production of Mozart’s The Magic Flute. Claire has performed as guest principal flute with the London Philharmonic Orchestra, BBC Symphony Orchestra, Philharmonia, Royal Philharmonic Orchestra, Britten Sinfonia and São Paulo Symphony Orchestra, and has made regular appearances with the English Session Orchestra, Scottish Chamber Orchestra and BBC National Orchestra of Wales. Claire plays regularly as a soloist and chamber musician, including recent engagements at St Martin in the Fields, St Johns Smith Square, the Royal Albert Hall Elgar Room, Cadogan Hall, Tonhalle Düsseldorf, and in Kyoto, Japan. Claire studied for her undergraduate BA in music at Brasenose College, Oxford, where she held an academic scholarship and graduated with first-class honours in 2012. During her time at Oxford she studied the flute with Michael Cox, principal flautist of the BBC Symphony Orchestra. In 2014 Claire completed her Masters degree at the Royal College of Music, where she studied with Daniel Pailthorpe and Gareth Davies. Whilst at the RCM Claire received awards from the Worshipful Company of Musicians, the Martin Musical Scholarship Fund, the Countess of Munster Musical Trust, and the Musician’s Benevolent Fund. Claire has been invited to perform as a concerto soloist on numerous occasions, and won concerto competitions at the Royal College of Music, Oxford University and Chetham’s School of Music. She is passionate about contemporary music, and regularly collaborates with composers writing for piccolo, alto and bass flute, as well as works for flute and electronics. She achieved international competition success at the 2014 Aeolus International Wind Competition, where she was awarded the prize for best interpretation of a contemporary work following her performance of Edwin Roxburgh’s ‘Stardrift’. She will consequently be performing concertos in locations across Germany. Claire currently enjoys a diverse performing career incorporating recording, radio broadcasts, teaching, orchestral and solo playing.